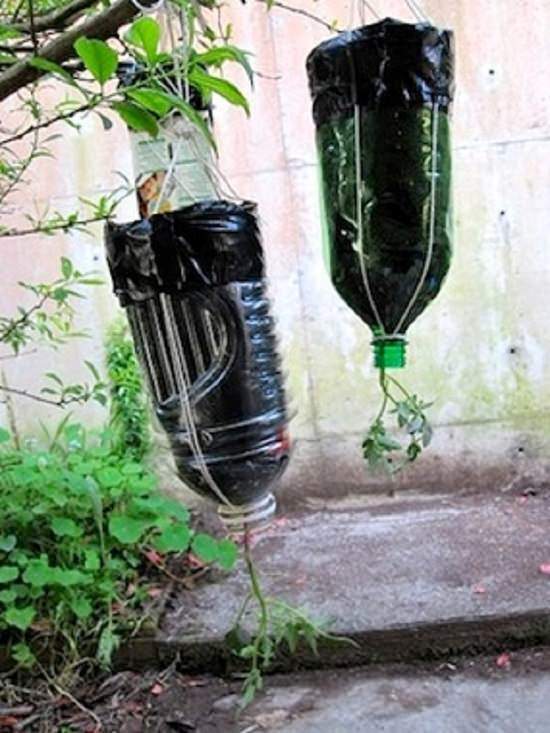 Spare some time during a weekend to try your hands on one of these interesting 50 One Day DIY Projects for home and garden! 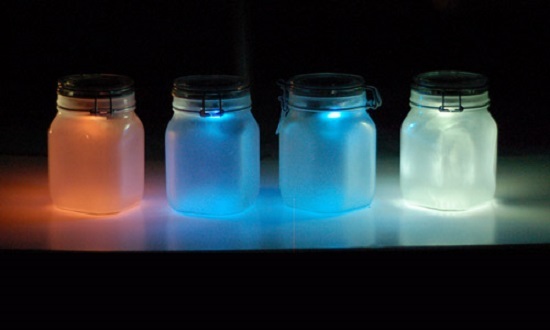 These DIY glow jars create different colors of outdoor lighting at a fraction of the cost. Visit Lifehacker for the DIY! This aesthetically-pleasing and energy-efficient backyard oven is the stuff that dreams are made of. Know more here. 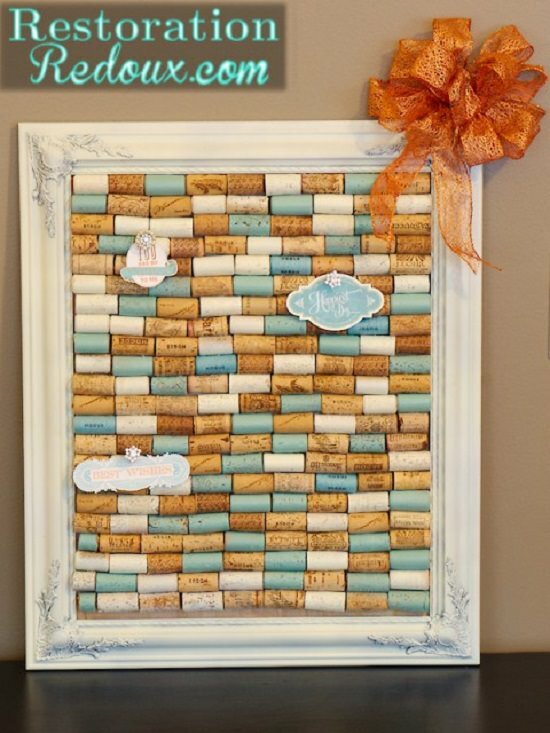 Here‘s an artsy way to channelize those stored wine corks into a useful design item that readily becomes the focal point of the home. 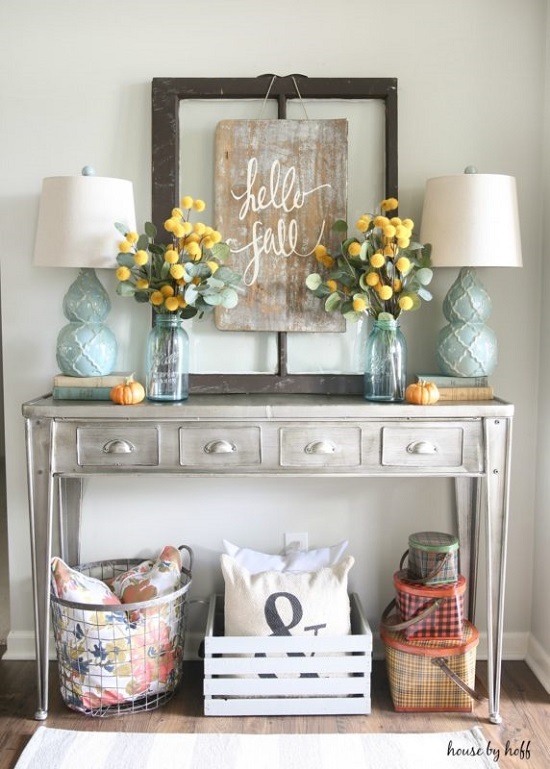 Nothing says fall quite like this rustic wall display by housebyhoff. 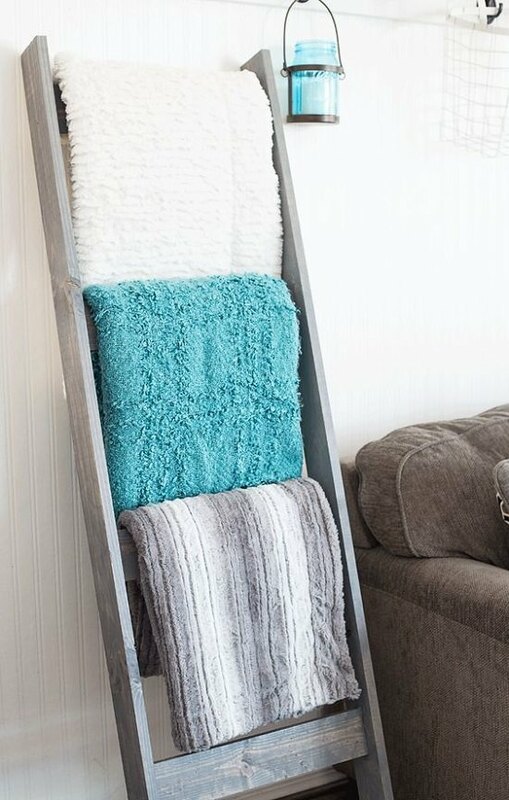 This ladder organizer keeps your blankets crease-free and smooth and adds cozy vibes to the room. Here is the DIY. 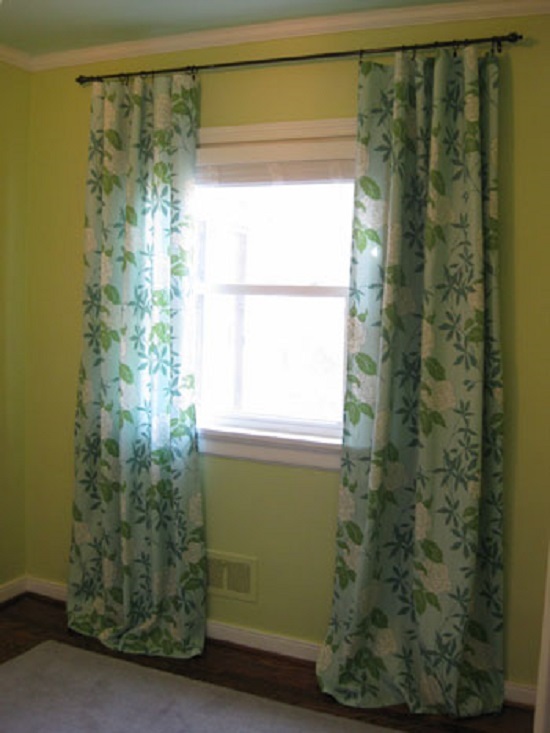 This fabulous fabric panel-turned curtain takes little help of your toolkit but none of your sewing skills. Learn how to make it here. 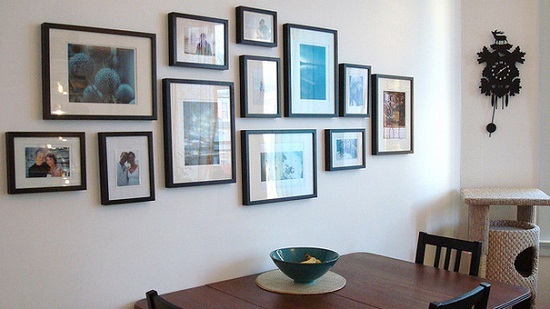 For a quick, budget-friendly facelift to the walls, consider printing pictures off the internet and fixing them on pretty frames as wisebread did. 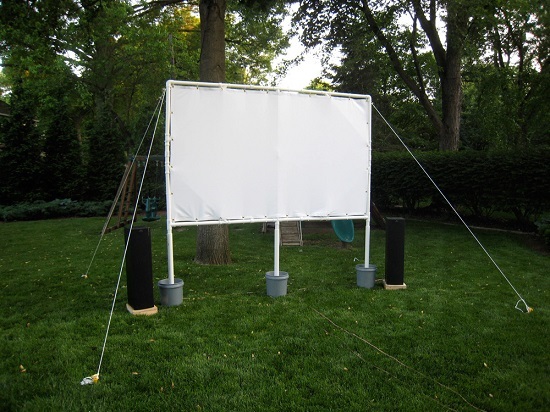 This makeshift outdoor theater will keep your kids in the garden away from the boredom of indoors all day. We found the idea on wired. 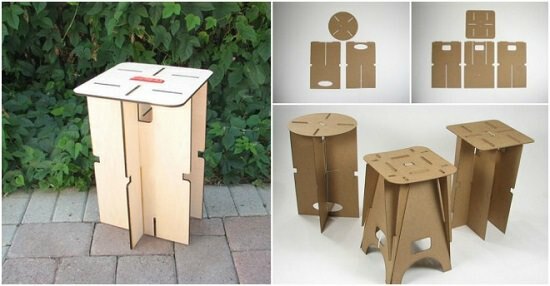 This sturdy yet collapsible stool is a boon for people looking out for extra storage space in their tiny apartments. Follow this post to make it. 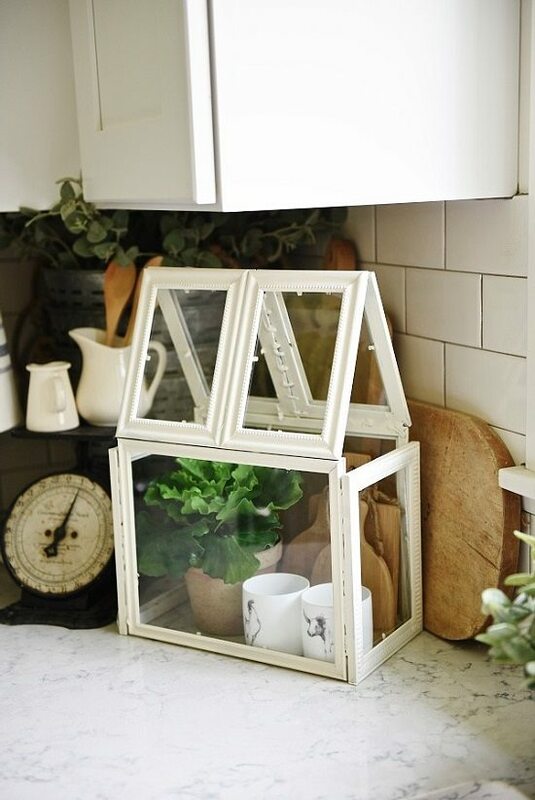 Use old picture frames to create designer terrarium like this for your small houseplants. The DIY is here. 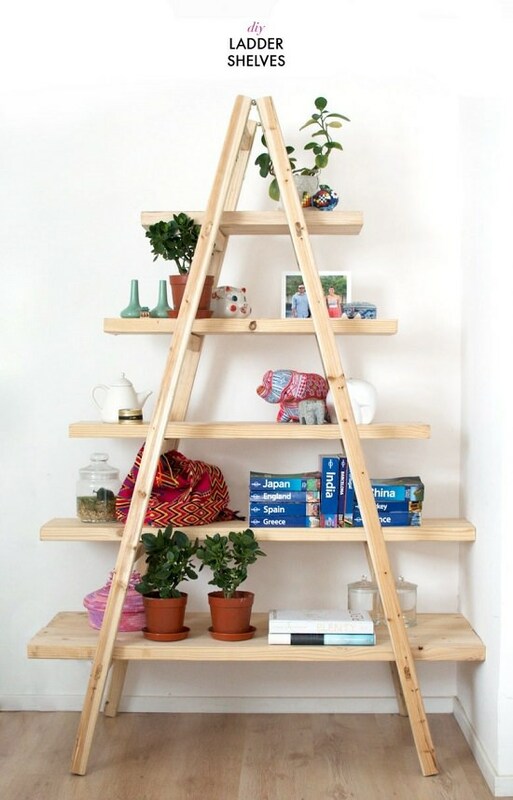 If you want to tidy up your space with a neat and elegant organizer that lets you display your favorite stuff, consider this contemporary-style DIY ladder shelf. You can also use it as a plant stand. 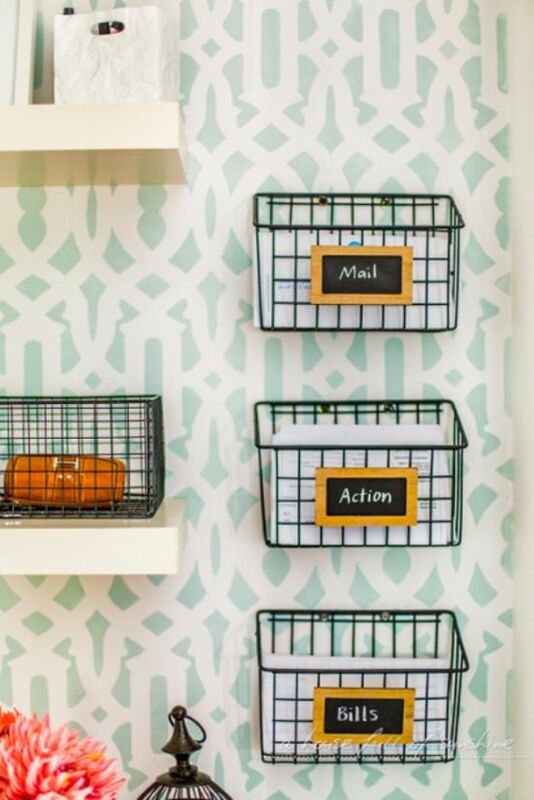 Sort out your mail and bills with industrial-design wire baskets. Follow this post for the DIY! 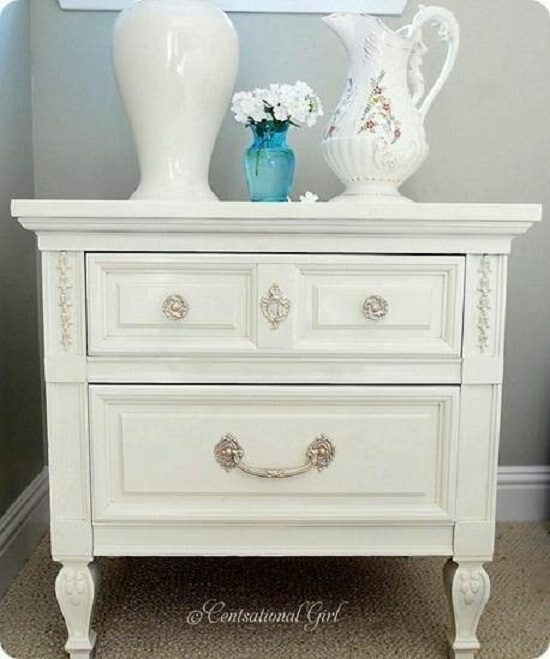 Spruce up your old, fading nightstand with the magic of spray paint. Get more information here. 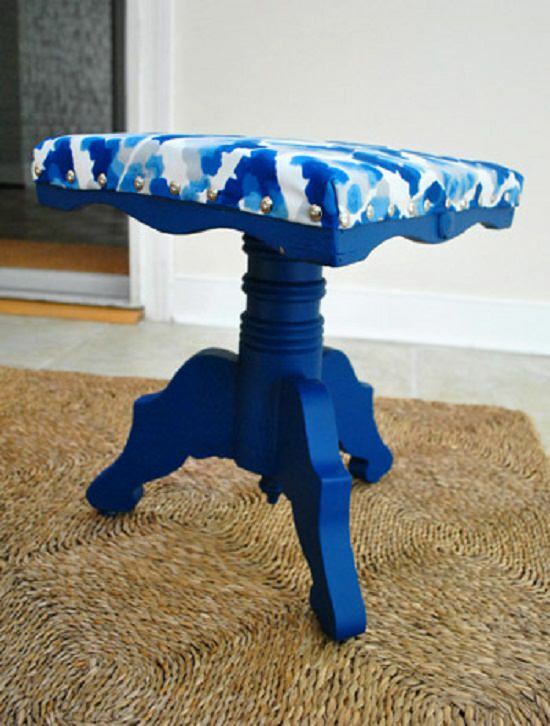 If your footstool is in a sorrow state with chipped paint and dented edges, this little hack by younghouselove can give it a new life. The right light is often the link between chaos and focus. Set the mood you want cheap rope lights with this post. 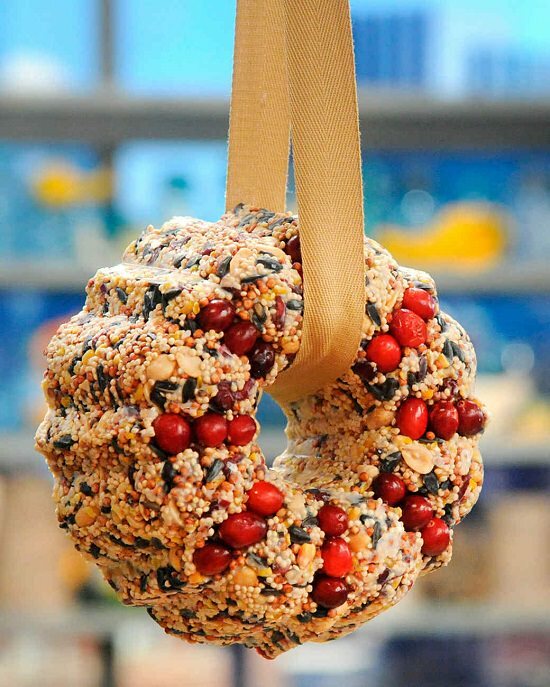 This pretty suet bird feeder with its vibrant colors is surely going to look good in your yard. Click here to know more. Life can crop from the strangest of spots. Take this topsy-turvy bottle here for example. Yarn-wrapped jars are versatile design items, perfect for lighting up different parts of the home with their warm, festive glow. We got the inspiration from here. 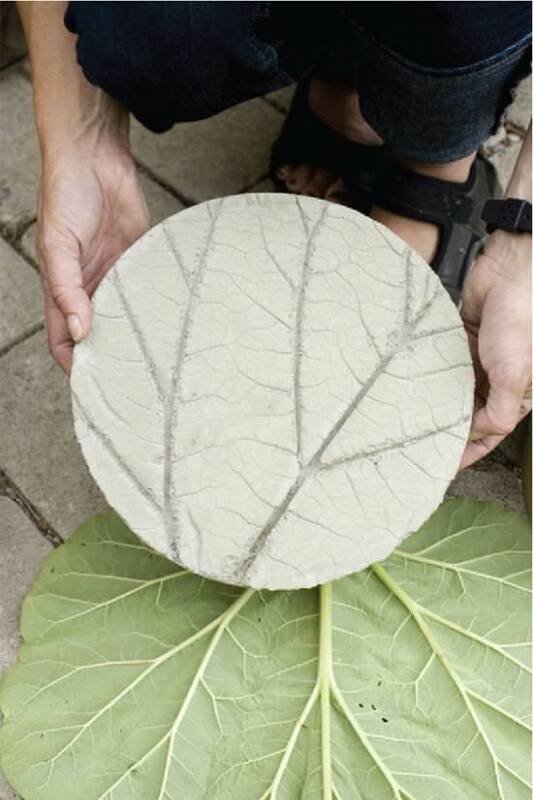 Lining the garden path with artsy leaf patterns gives a refreshing feel that makes your entrance inviting. Curbly came up with the idea and DIY! 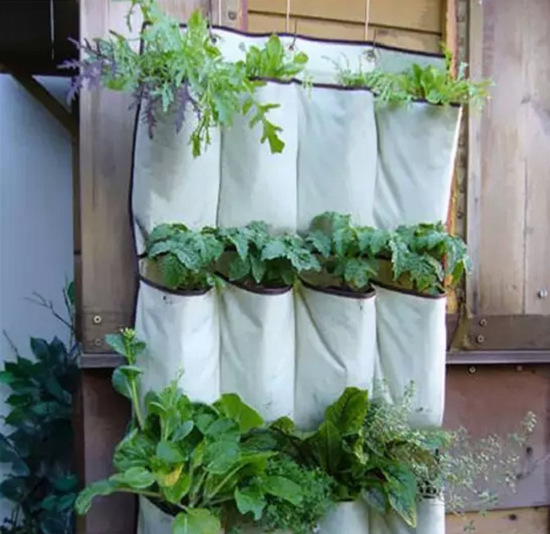 When you lack a garden, converting vertical space into a herb organizer seems like the best possible option. Check out the detailed article here. 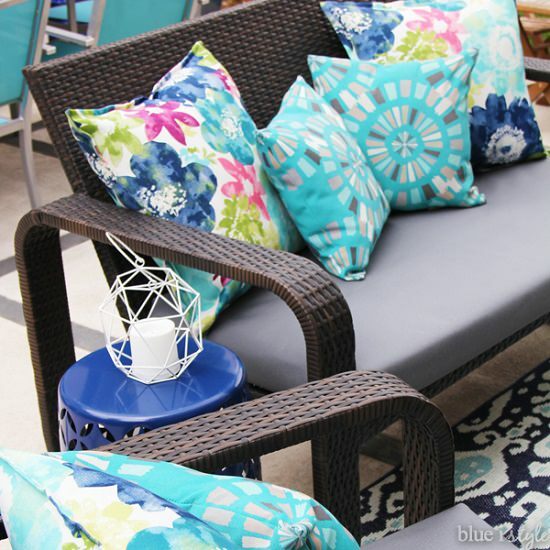 Refurbish patio cushions with this easy, no-sew hack that takes no more than a few minutes. Here is all you need to know. 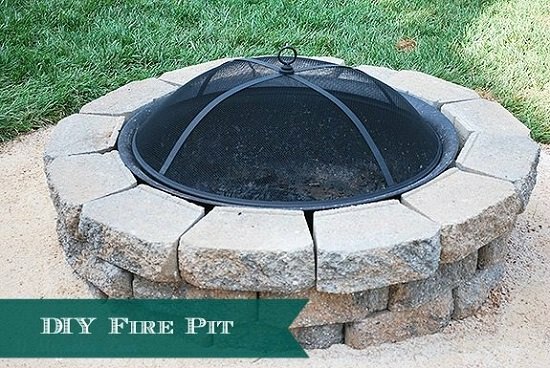 This pallet fire pit with a discreet tuck-in stash for firewood storage creates a warm and snug corner in your backyard. Get the DIY by clicking here. 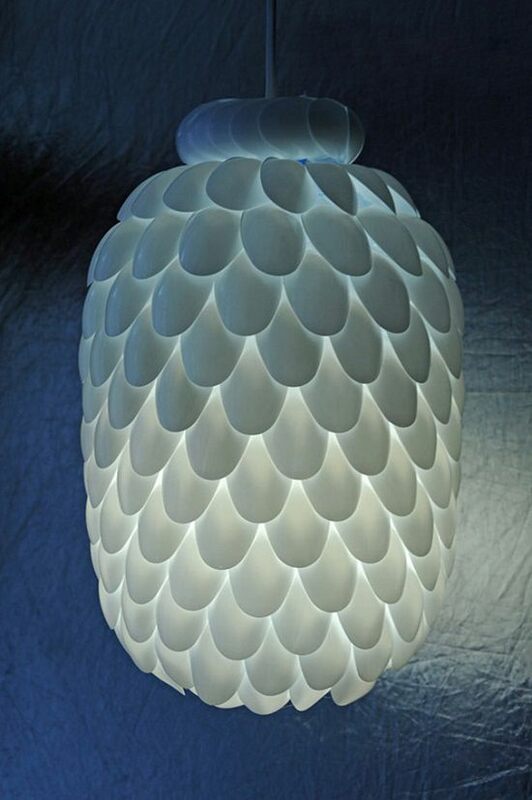 This DIY spoon lamp is a remarkable way to convert ordinary, everyday objects into purposeful decor items. 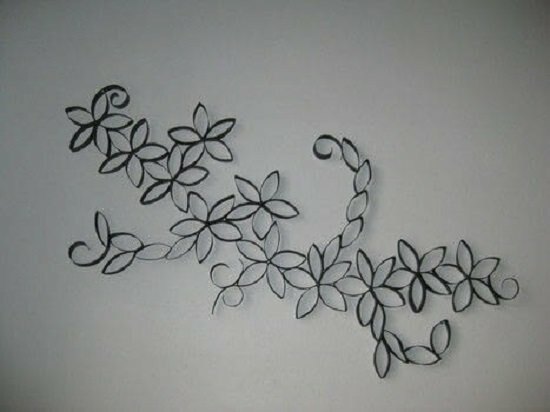 This charming mural is what you get when you put together boredom and unending rolls of toilet paper. The simple steps are here. 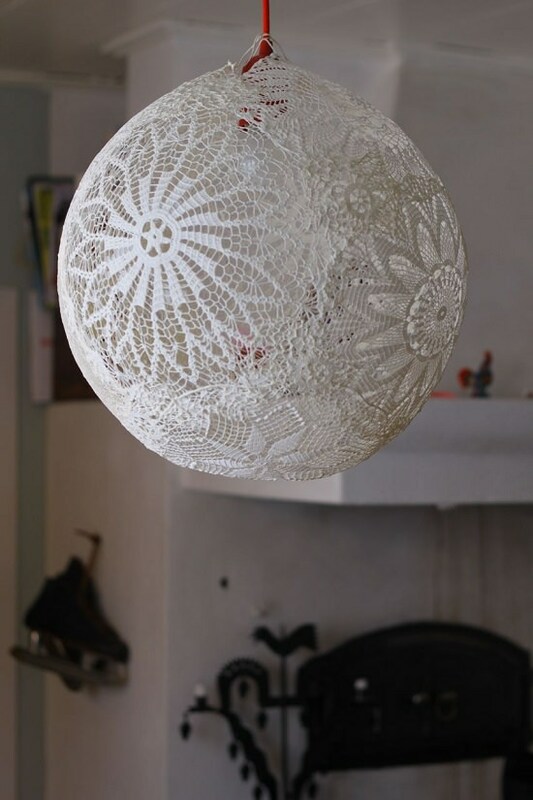 Crystal chandeliers are not the only way to add a vintage touch to the dining room; this lace lamp is a great option as well. Pebble coasters are a neat and elegant addition to dining tables that demand a little detailing. Make them by following this post. 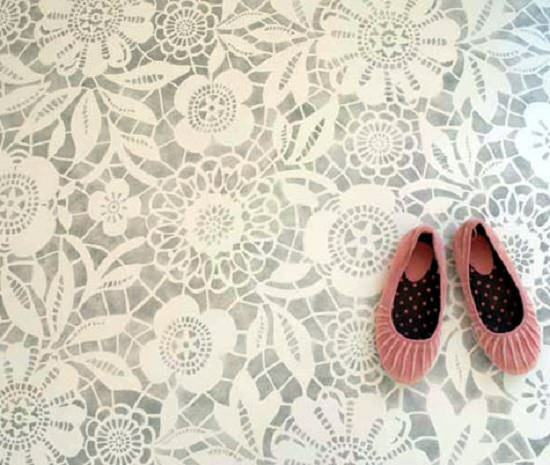 This lace-stenciled flooring converts your home into a divine paradise in no time. All the information is here. 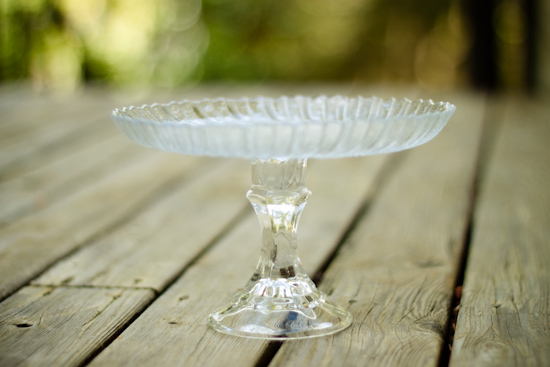 Creating these traditional party props is surprisingly cheap when you follow this DIY. Creating an adorable fairy garden is sure to add enchanting vibes to your garden. We got the inspiration from the nester. 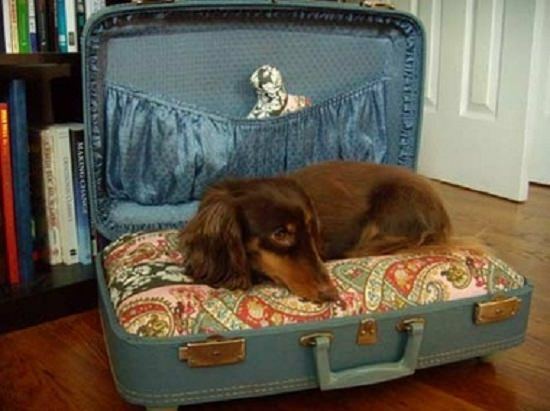 On second thought, your jumbo suitcase forms the perfect fit for a cozy dog bed. Don’t forget to fluff it up with pillows and bedding. Read more here. 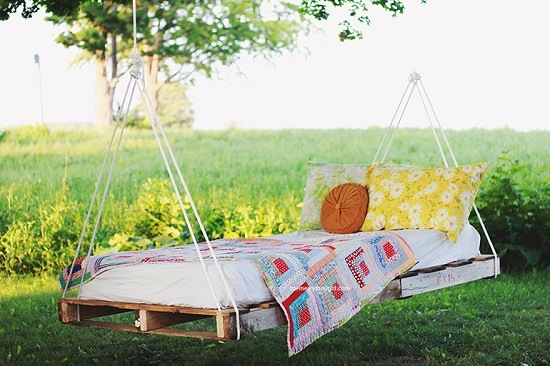 This relaxing swing bed will help you blissfully forget your sorrows as you sway in the gentle afternoon breeze. Check out the DIY for more tutorial. 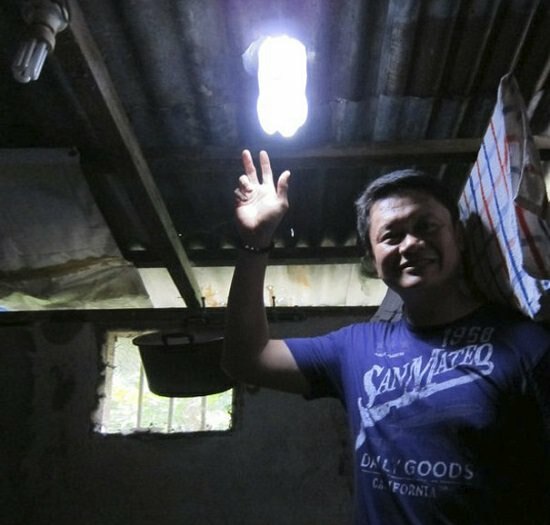 Bottled water with bleach is the most eco-friendly bulb in the world. 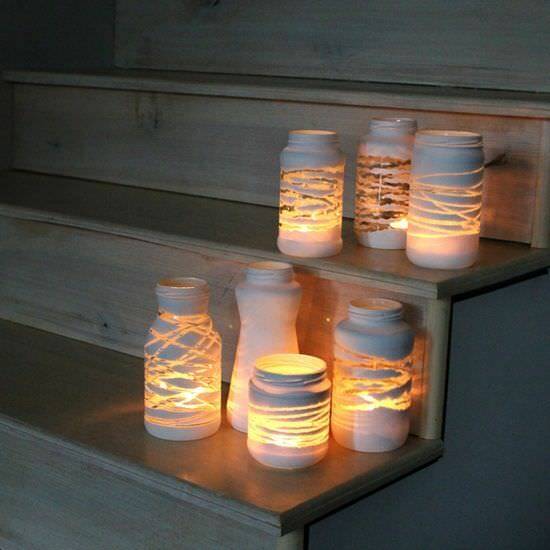 This simple idea here is sure to light up your lives. 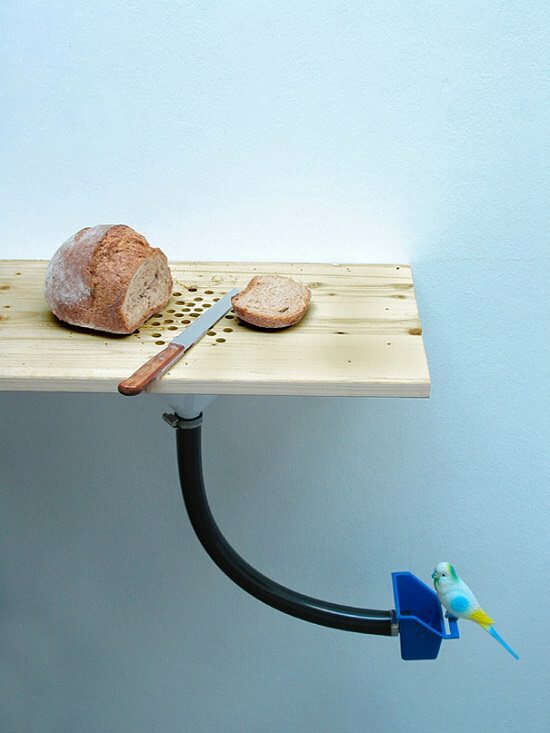 Here‘s an ingenious way to use an old cutting board to carve out a convenient bird-feeder for the garden. This wallpaper dress idea will make you appreciate the endless decorative powers of wallpaper. Visit apartment therapy for the tutorial. 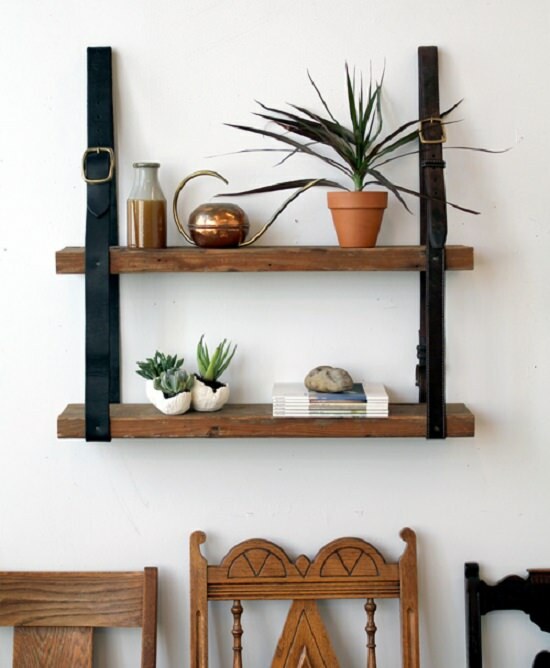 Every home needs a hanging leather shelf; after all, it’s an excellent way to display some of your favorite stuff similar to what we found here. 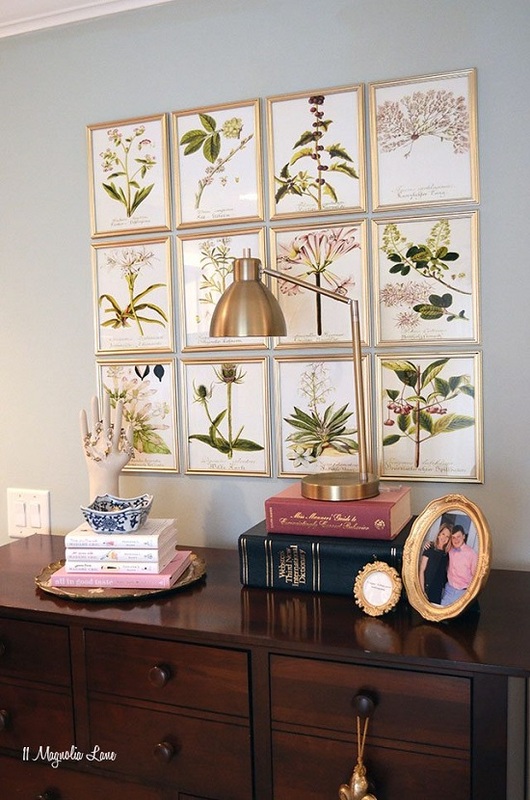 If houseplants seem like too much work, this gallery wall of botanical prints may be a nice alternative. By clicking here, you’ll be redirected to the DIY! 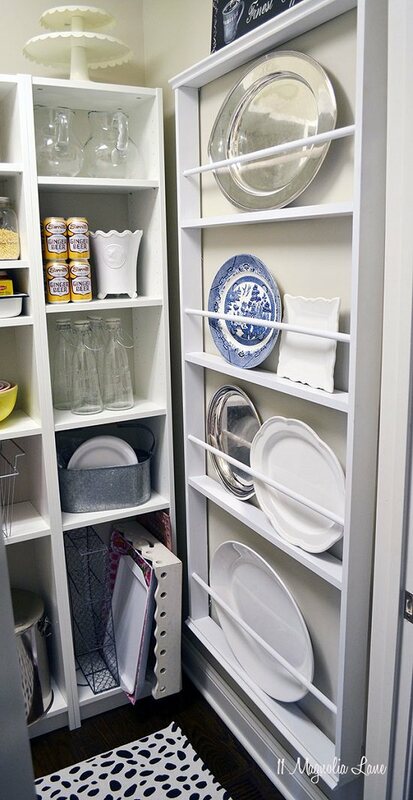 This DIY customized plate rack keeps your cutlery safe and handy for when you’re juggling too many guests at the same time. This DIY fire pit is a must-have for every party-lover who loves hosting backyard barbeques on cold nights. Learn the step by step procedure here. 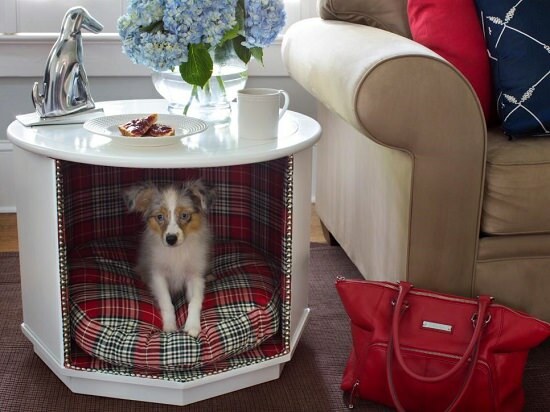 This discreet and plush home will keep your pooch warm and comforted when you’re out for long hours. 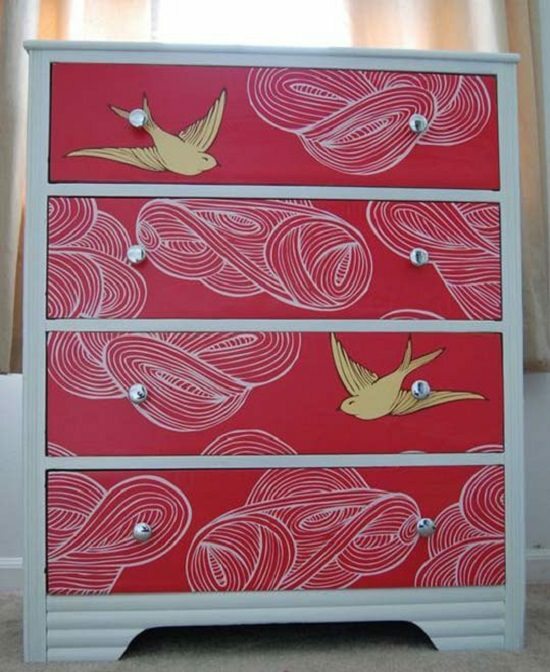 Get inspired by this post on DIY network. 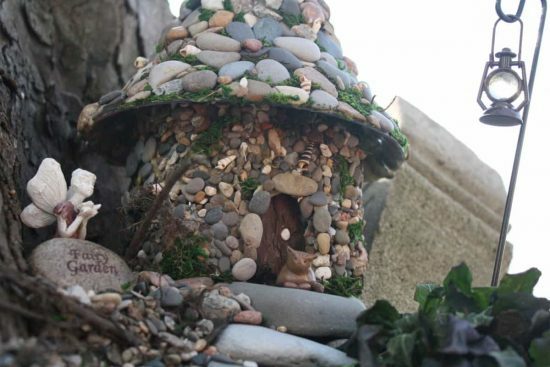 Making this DIY miniature stone house is your first step forward to inviting these ethereal beings to your home. Want to know more? Click here! 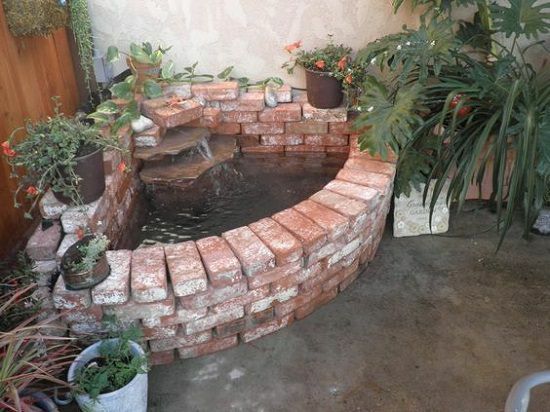 This brick waterfall is a nice way to convert a drab backyard into something that breathes life. More details on this project are here. 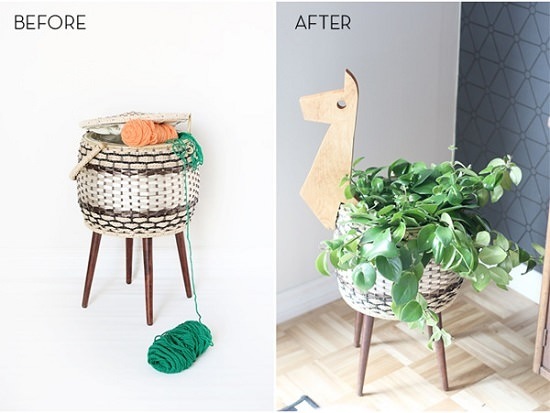 Growing leaf houseplants on a sewing basket may be the last thing on your mind, but it’s worth a shot. The procedure with requirements is here. 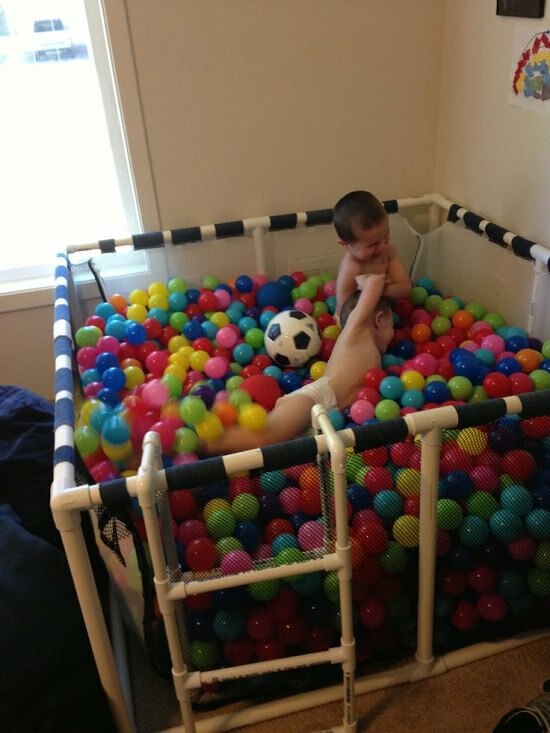 Why run to the toy store when you can make this cute little makeshift ball pit in your baby’s pram. Details on this fun project are here. Nameplates are standard stuff, don’t you think? 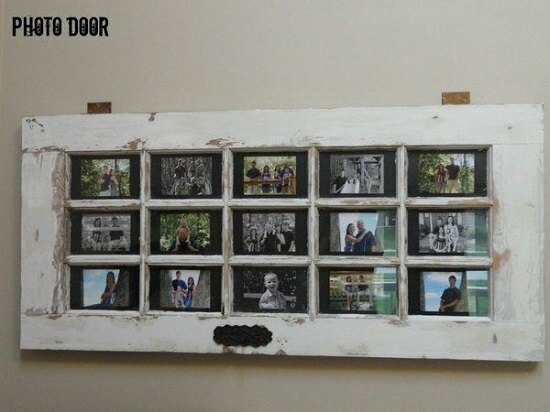 Try this photo display on the front door for a more personalized touch. Project details are here. This outdoor grill table is sure to become your go-to prop while setting up impromptu parties. Here is how to make it. 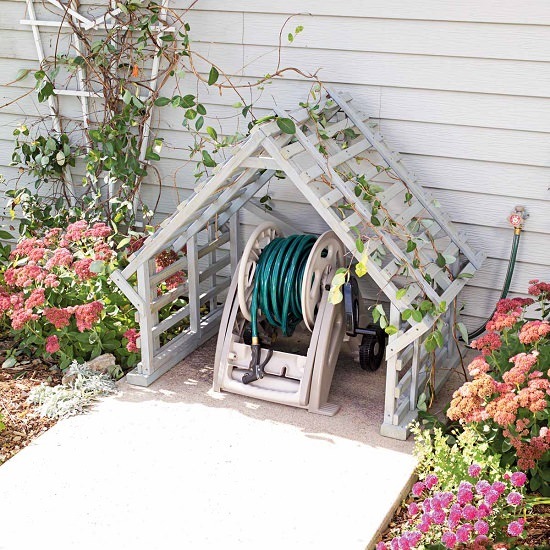 Hose storage doesn’t have to be hideous; integrate it with the rest of the garden elements with this simple idea by familyhandyman. 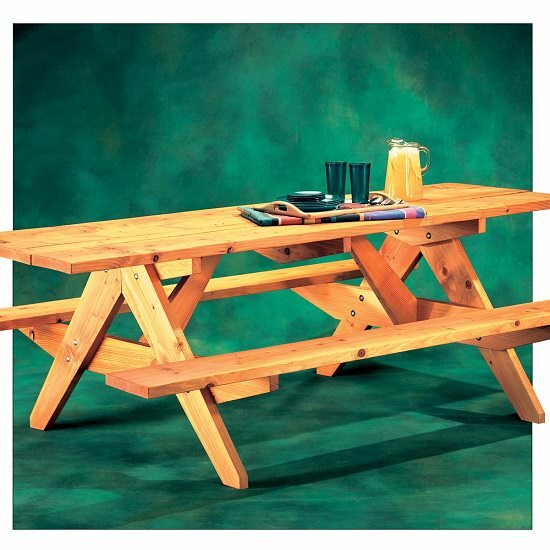 This pretty picnic table is sturdy enough to hold a lavish feast without crumbling into pieces. If you acquire some carpentry skills check out this post. 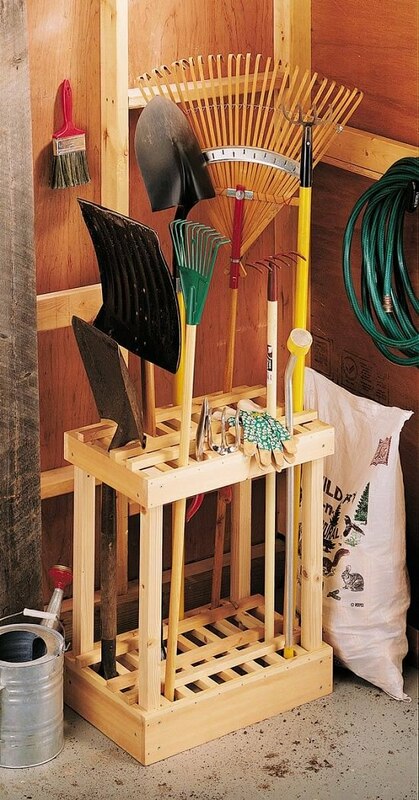 This tool organizer is a great way to organize your shovels and rakes. This tutorial will guide you in every step. 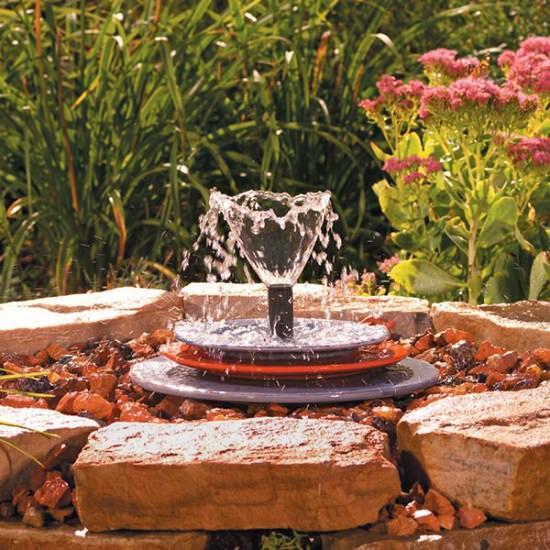 This pint-sized fountain is proof that you don’t need a ton of space to create a quaint haven in your backyard. All the information required is taken care of in this post. 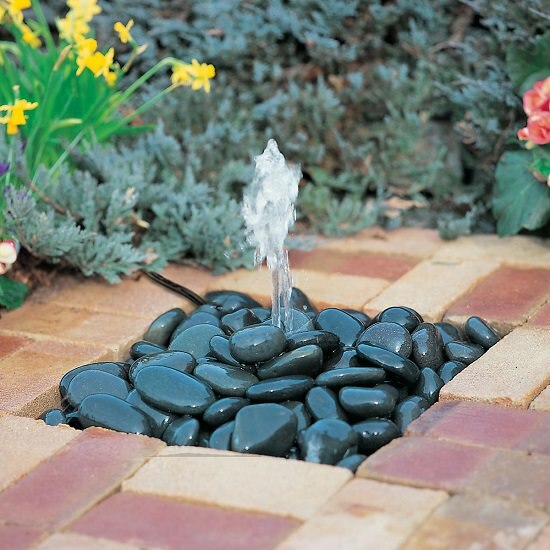 The trickling sounds of water and the Zen appeal of the rocks make this water feature a must-have in your garden. Create is by following this tutorial here.